Before midnight on the evening of September 15th, bells will ring, the President will shout out a cry for patriotism (El Grito) followed by a threefold yell of Viva Mexico! and the fiesta will begin. Contrary to popular belief, Cinco de Mayo is NOT Mexican Independence Day… The 5th of May actually commemorates the Mexican army’s unlikely victory over French forces at the Battle of Puebla on May 5, 1862. Mexico’s Independence Day is September 16th. On this date in 1810 the movement, which became known as the Mexican War of Independence, was led by Mexican-born Spaniards, Mestizos and Amerindians who sought independence from Spain. It was a long, hard fought battle to break the ties, but Mexico finally stood on its own. In honor of the holiday, I thought of writing about food or celebrations or history… but instead decided to broaden your horizons and share some fun Mexico facts. 1. There is a Mexican tamale called the zacahuil is three feet long and weighs about 150 pounds. 2. Chocolate, corn, chilies and the Caesar salad are among Mexico’s gifts to the world. 3. The first printing press in North America was used in Mexico City in 1539. 4. The National University of Mexico was founded in 1551 by Charles V of Spain and is the oldest university in North America. 5. The poinsettia is named after the first American ambassador to Mexico. 6. The border between Mexico and the United States is the second largest border in the world (only the U.S.-Canadian border is longer). 7. Mexico is located in the “Ring of Fire,” one of the earth’s most violent earthquake and volcano zones. 8. 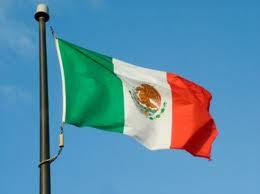 Mexico’s flag is made up three vertical stripes. The left green stripe stand for hope, the middle white stripe represents purity, and the right red stripe represents the blood of the Mexican people. The picture of an eagle eating a snake is based on an Aztec legend. 9. Mexico City is built over the ruins of a great Aztec city, Tenochtitlán. Because it is built on a lake, Mexico is sinking at a rate of 6 to 8 inches a year as pumps draw water out for the city’s growing population. 10. Mexico City has the highest elevation and is oldest city in North America. It is also one of the largest cities in the world. 11. Only ten countries in the world have a larger population than Mexico’s 109,955,400 million people. 12. The Aztecs adopted human sacrifice from earlier cultures (such as the Olmecs) because they believed the universe would come to an end and the sun would cease to move without human blood. There are many ancient statues of gods sticking out their tongues, such as Huitzilopochtli, which may be a sacred gesture that suggests their thirst for blood. 14. One unusual Mayan weapon was a “hornet bomb,” which was an actual hornet’s nest thrown at enemies during battle. 15. Spanish conquerors brought bullfighting to Mexico, which is now the national sport of Mexico. Bullfighting takes place from November to April, and the Plaza Mexico is the largest bullring in the world. 16. Mexico remained under Spanish control for nearly 300 years until the Mexican people, led by a priest named Father Hidalgo, rose up against the Spanish on September 16, 1810. Hidalgo is widely considered the father of modern Mexico, and Mexican Independence is celebrated on September 15-16. I’ve never been in Mexico for the holiday, but it’s certainly on my list. So my sombrero is off to my favorite country, and may you all have a wonderful weekend! Viva Mexico! Viva Mexico! Viva Mexico! This post is part of a Blog Hop…. 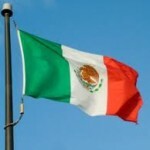 check out these other great posts about Mexico’s Holiday! Disclosure: I am being compensated for my work in creating and managing content as a Community Manager for the México Today Program. All stories, opinions and passion for all things México shared here are completely my own. Mexico Today is a joint public and private sector initiative designed to help promote Mexico as a global business partner and an unrivaled tourist destination. Guest Blogger Carolyn Patten: Fiesta Time? Listos?? I thought the flag was green for limes, white for tequila and red for sangrita… Actually, some great facts here and quite a few I never knew…like the caesar salad or the hornets nest. Thanks for sharing and also definitely head south of the border for the holiday, it’s a complete fiesta. I highly recommend it. I’ve been in Mexico for Easter. Special people walk around wearing red and with gold masks. They represent the devil. If people want them to, they wip the people’s ankles however much they want. Later there’s a something like a ceremony that represents Jesus on the cross.